The Ultimate Fighting Championship returned to Brazil on February 3 (AEDT) with Fight Night 144 on ESPN. MMA event took place at Centro de Formacao Olimpica do Nordeste in Fortaleza featuring the 13-fight bill with all-Brazilian headliner. 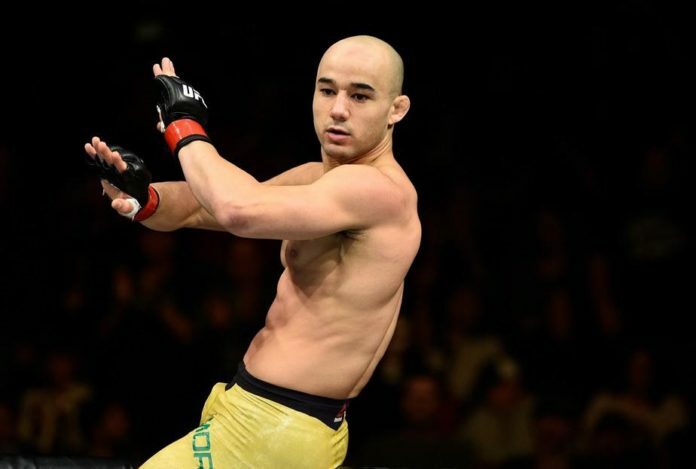 In the main event a pair of bantamweights Raphael Assuncao and Marlon Moraes squared off in a rematch. The scheduled for five rounds bout ended prior the final horn. The latter took the win by submission in the first round as well as the revenge for a split decision defeat at UFC 212 in June 2017. In the co-main event Jose Aldo and Renato Moicano battled it out at featherweight. The former champion in the division, Aldo stopped his opponent in the second round with punches. Also on the main card welterweight Demian Maia submitted Lyman Good in the first round, and lightweight Charles Oliveira similarly defeated David Teymur in Round 2. In addition light heavyweight Johnny Walker stopped Justin Ledet early in the first round with spinning backfist and punches, and Livia Renata Souza came out victorious by split decision against Sarah Frota from their 123-pound catchweight bout. The complete fight results from UFC Fortaleza can be found below. The next event, UFC 234 is held in Melbourne on February 10 featuring Robert Whittaker in defense of his middleweight title against Kelvin Gastelum.